Please help me welcome our newest sponsor ASTROLOETRY - where astrology meets poetry. Written by professional writer Stephanie Andolino, ASTROLOETRY combines the art of poetry with astrology for a custom poem for your favorite baby or child based on his/her astrological chart! Each ASTROLOETRY 11x14 canvas print is made to order and personalized with no two poems exactly alike. With seven color choices available including the rainbow - a mix of everything - you are bound to find the perfect canvas print to for the little one in your life! Stephanie has graciously offered Hello Jack readers $5 off on their next ASTROLOETRY custom order. Simply enter "HELLOJACKCOUPON" during check out. Offer valid for US residents only. Expires 7.5.13.These canvas prints make great newborn and birthday gifts! these are absolutely cute!!!! too bad the coupon isnt valid anymore. 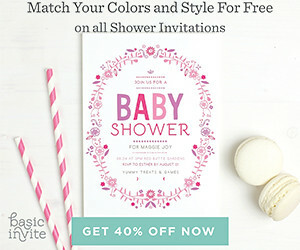 Makes a great upcoming birth gift for my sister, love your site.